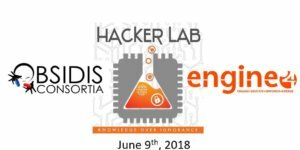 HackerLab is a hands-on event design to put the participants in the driving seat while hacking live IoT systems, challenge & scenario based cybersecurity CTF and build offensive IoT devices like: drop-boxes, poison-taps, USB-HID devices and others using RaspberryPi, Arduino and other IoT development platforms. Regsitration starts at 8:30AM, event starts at 9AM. We will have mentors to help out during the event, it’s a learning experience, dont miss it!.